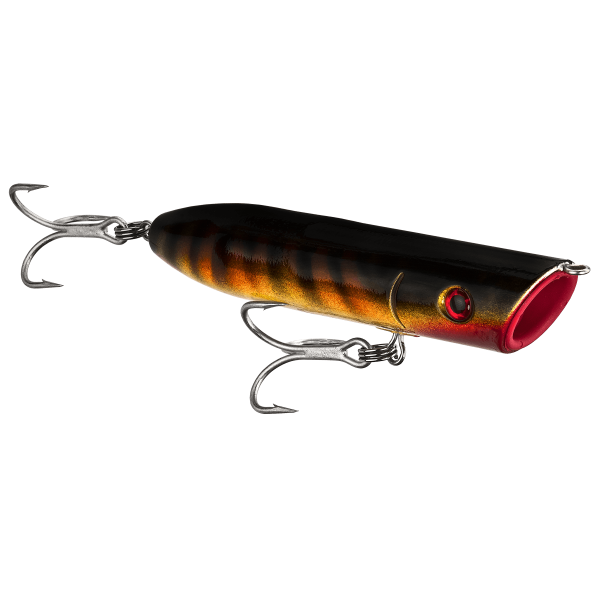 This sinking top-water popper from Odin Lure Company will be the go-to popper in your box. With its slender design and loud rattles you can expect it to crush fish from the ocean to the farm pond. This is a tail first super slow sinker that will lunge forward towards the surface between whips of the rod, churning up a commotion that no predatory fish can resist. Match the flavor of FISH SMACK to your target species and catch a fish. 5.5” long X 1” thick body. Built to with stand the harsh saltwater environment.